So WordPress gives you posts, pages, menus, comments, themes, users… and you ask for more? You’re actually right, but I like to bring in some drama into my posts. Compared to other website building platforms, WordPress is so great because its possibilities are extremely wide. And, among other reasons, that’s thanks to what you can do with plugins. Plugins are like add-ons you can install in your website to extend WordPress’ functionalities. For example, if you’re building an online shop, you will need to add some e-commerce functionality. You can do that with a famous plugin called WooCommerce. Or if you need to add a contact form to your site so people can get in touch with you, you’ll need a forms plugin like WPForms. Some plugins will mainly do their thing on your site’s front end, like having a Lightbox plugin to open images in a popup. While some other plugins may only perform actions on the back end, like a security plugin or a backup plugin. Others may not even affect your site’s functionalities but instead integrate it with an external platform. That’s the case of a Google Analytics plugin. Now I’m not saying this is how we should classify plugins (that would be quite unuseful), but I do want you to understand there are all sorts of plugins and they serve many types of purposes. There’s no limit to how many plugins you can install in your site. While some people may say that having lots of plugins is bad, that’s not necessarily true. The thing is your website needs frequent maintenance to keep everything working properly and for it to be secure. Maintaining a site with 30 plugins will require more work than keeping an eye on just 2 plugins. Also, when you extend your website and include more plugins into the game, you’ll need to make sure there aren’t any compatibility issues in between the plugins and with your theme or WordPress functionalities in general (which shouldn’t happen if they are well coded). And finally, depending on what your plugins do, they will use more or less resources from your server and the visitor’s browser. That could mean that having many plugins performing at the same time may require a better hosting service. ✓ Only install plugins that you need. ✓ Keep plugins up to date. ✓ Check every once in a while that all plugins are working properly and nothing broke up. ✓ Try using plugins from reliable authors that release updates regularly. ✓ Get a proper hosting account, suitable to your site’s needs. …The answer is probably in a plugin, or in a combination of plugins. Well, the dogs’ example maybe not, but for the rest of your ideas, probably yes. I divided them into categories, so you can first find the goal you want to achieve and then get the recommended plugins for that task. There are a lot more of plugins for each category, but I like to recommend what I’ve tried and use on a daily basis. Feel free to find your own alternatives and share them with me in the comments, I’d love to read about your experience with them. Backups and security go hand in hand. You should secure your site as much as possible to avoid being hacked, but if the time comes and your site suffers such an attack or even if a misuse of the site ends in losing data, you’ll want to have a backed up version of your site that you can easily restore. UpdraftPlus is a backup plugin that allows to schedule automatic backups and restore your site with a single click if necessary. The backups are sent directly to the cloud. You can connect it with Dropbox, Google Drive, Amazon S3 (or compatible), UpdraftVault, Rackspace Cloud, FTP, DreamObjects, Openstack Swift, and email. And there are even more possibilities if you’re on a premium account. Price: Free | Premium plans from $70/year. The Wordfence security plugin protects your website from hacks and malware. It’s one of the most comprehensive WordPress security solutions available. It regularly scans your site and alerts you if it has been compromised. 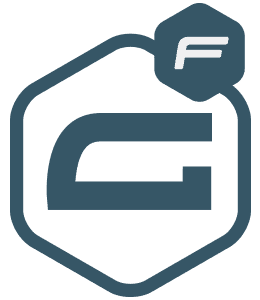 The free version is fully-functional, including firewall, blocking and monitoring features. The premium one also includes premium support and advanced features like country blocking or real-time threat defense feed. Price: Free | Premium plans according to the number of sites to protect and how many years you buy in advanced. E.g. 1 site for 1 year = $99, while 1 site for 5 years = $371.25 ($74.25/year). All In One WP Security takes care of your site’s security by checking for vulnerabilities and implementing different security practices and techniques. Among them: user accounts/login/registration security, database security, file system security, htaccess and wp-config.php file backup and restore, blacklist functionality, brute force login attack prevention, firewall functionality, and more. It’s a really all-in-one comprehensive and free solution. You should try it. Yoast may be one of the most popular WordPress plugins out there. If you have a WordPress site, you want it to be optimized for search engines like Google. Yoast will help you achieve that. It offers a set of tools and tips that can help optimize your content for a better positioning in search results. Some of its features include: XML sitemap generator (which you must have for better site indexing), title and meta description templating, content analysis, insights and keywords tool, internal linking suggestions, readability check and more. Hey! Plugins are not the only thing you should think of when building a WordPress site. Themes are also a huge deal. Make sure you choose the right one by downloading this WordPress Theme Checklist. A simple but important plugin that lets you connect your WordPress site with Google Analytics and view your reports right on your WordPress dashboard. It’s easy to setup and has a very friendly user interface. Price: Free | Premium plans from $39/year. Your WordPress site is very likely to get spam messages through the comments of contact forms. That’s life. Fortunately, there’s something you can do about it. You probably know this plugin because it comes installed by default with your WordPress install. But if you didn’t know what it does till now, here it is. Akismet checks your comments and contact form submissions to make your moderation job a lot easier. It’ll help prevent your site from publishing malicious content. To use it you’ll need an Akismet.com API key, which is free for personal blogs. Paid plans are available for commercial or company websites, and they include advanced features and support. Antispam Bee helps you block unwanted comments too. It’s worth mentioning that it’ll work with regular WordPress comments, but not with plugins that replace the native comments with their own platform like Disqus. Forms are everywhere and for many purposes, actually, not just “contact”. You can ask users to fill in a form for a partnership proposal, a quote, a poll, a gift redeem, an application, a subscription, an RSVP, and what not. These plugins will help you create forms on your site without touching a line of code. WPForms is a drag and drop form builder. It’s very easy and intuitive to use. But that doesn’t mean it’s any less powerful. On the contrary. It includes all the field types you’re gonna need (text inputs, text areas, numbers, drop down menus, telephone, number range, file upload, etc. ), nice features like breaking your form into several pages or sections, and it’s ready to be integrated with popular platforms like MailChimp, PayPal, Stripe and more. In WPForms each field is customizable and it also offers several form templates so you don’t start from scratch. Price: Free lite version | Premium plans from $39/year. Contact Form 7 has been around for years. Is a solid and highly flexible forms plugin. It might be more suitable for more advanced users because it doesn’t have a drag and drop builder. You just pick inputs from a menu and arrange them in an HTML editor. However, all the field types are available for free, including radio buttons, checkboxes, date and more. Gravity Forms is another well-known and powerful plugin for building forms in WordPress. It includes all types of fields: standard (text, dropdown, number, checkboxes, etc. ), advanced (date, time, phone, password, captcha and more), post fields (like title, excerpt, category) and pricing fields (product, quantity, credit card and more). And, as WPForms, it also offers integration with several online platforms like Zapier, Slack or PayPal, among many others. You can test drive it yourself here. This area doesn’t need much of an introduction. If you’re building an e-commerce site on WordPress, these are the most popular, solid and professional solutions. WooCommerce is the plugin to go with when you need to build an online shop. With it you can sell both physical and digital products, manage your stock, offer product variations, different payment methods, shipping and a lot more. It’s an all in one solution. It really has it all, and if not, then a free or a paid extension will have it. Like WooCommerce Memberships, WooCommerce Subscriptions, Dynamic Pricing, etc. With WooCommerce you’ll have full control of your store. And if your theme integrates WooCommerce then it’ll look even more beautiful on your site. Price: Free | Extensions from $0 to $299. Easy Digital Downloads is an e-commerce solution specialized in digital products. This is the one we use here in our theme shop and we love it. It’s pretty straightforward to use. It offers support for many different gateways, it allows the use of coupons, lets you manage customers and offers sales reports right on your dashboard. It also has a lot of useful extensions (some free, some paid), like Recurring Payments, Commissions, Reviews, Recommended Products and more. Extensions can run a little on the expensive side, but all the developers involved are very known and present in the WP community and they really deliver a great product. If you’re looking to have a forum on your WordPress site, bbPress is the plugin you’ll use for that. Includes everything you’ll need to set up a forum on your site. It will let you create different forums, topics, replies and manage specific forum user roles. And it was developed with speed and performance in mind. Easy WP SMTP lets you connect your SMTP email account to your WordPress site, so that outgoing emails from WordPress are sent from that email address through your SMTP server. It’s helpful when: your server’s mail php function is not properly setup (or is disabled), or in the case when you want to use a custom account to send emails from WordPress (like hello@yourdomain.com instead of wordpress@. By “emails from WordPress” I mean emails that the system sends to users when they sign up, change their password, fill up a contact form, get a reply on the forum, purchase a product and get a receipt; or to admins when there’s a new comment, a new topic on the forum, a new purchase, etc. If you’re not sure your WordPress site is properly sending the emails it should be, you can check that out with this -also free- plugin: Check Email. Having a beautiful website is not enough. For it to leave a good impression on your visitors (and on search engines too), it should perform well. Among other things, good performance means loading fast, responding quickly to the user’s actions, and working properly on all devices and browsers. Having a good hosting service and a well-coded theme will be the absolute first steps to a properly functioning website. But after that, there are other things you can do to improve your WordPress site’s performance. And you should. WP Super Cache is pretty straightforward to setup and has really good speed results. It basically generates static HTML files from your dynamic and heavier to process PHP pages, and serves those to your visitors. However, this plugin works best with content that’s not meant for logged in users to see. Use it only if you won’t have users logging in to your site. W3 Total Cache is another free alternative to improve your site’s performance. It also has good speed results, but it’s more complicated to set up. That’s because it offers a lot more of advanced options, which is good if you want to take care of specific configurations, but also makes it a bit more difficult to configure. WP Rocket is a premium and powerful cache solution for WordPress. It requires minimal configuration and the results are amazing (according to several benchmarking tests, it has the fastest results compared to other similar plugins). This is the one we use right now on our site and we love it. As it is a paid plugin, they offer really good support too. ShortPixel will optimize the images you upload to your website and make them web-friendly. By reducing the images’ file size, your site’s performance will automatically improve and therefore your site’s SEO and overall user experience will too. You can read more about optimizing images for the web on this post. An alternative for this plugin, which does the same thing and also works well, is Imagify. This plugin improves your site’s speed by loading images only when needed. Lazyloading means displaying the images on your site when the user gets to see them. So if there’s an image at the bottom of your site, it will only load once the user gets closer to that part of your site and not when the site is loaded. As fewer images are loaded at the same time, this helps saving bandwidth and improving your site’s performance, getting first screens to appear on the browser sooner. Your website should be an essential part of your online marketing strategy. And there are many tools that help you integrate marketing actions into your WordPress site. OptinMonster is a powerful tool for lead generation. It’ll help you optimize your visitors’ conversion rate and grow your email list. It offers different types of opt-in forms that you can customize to behave as you wish and easily integrate them into your site. Among its features you’ll find: fullscreen welcome mats, popups, floating forms, A/B tests, exit-intent forms, and more. OptinMonster is ready to integrate all popular email marketing services such as MailChimp, ConvertKit and AWeber. Sumo is also a very powerful and popular plugin for leads capture, including pretty much the same features as OptinMonster. But in addition to opt-in forms, it also offers share buttons, a heat map tool, live chat for your website, auto-generated discount codes and more. If you’re running an online shop, having an affiliate marketing strategy may help you boost your sales. AffiliateWP, created by the same authors of Easy Digital Downloads, will give you the tools to create and manage your own affiliate program. It is, of course, integrated with major e-commerce plugins and tools for WordPress, like WooCommerce, Easy Digital Downloads, Stripe, PayPal, WPForms, and more. If you’re running a content marketing strategy through your website (you may call it something else, but you know your content is important), there are many plugins that can help you improve your audience’s engagement with your content. Adding social share buttons to a post is a must if you want your content to be spread by word of mouth. People like sharing things they found useful, interesting, funny, beautiful… so don’t make them do the job of manually copying the post’s URL, open Facebook in a new tab and paste the link on a new post. They won’t do that. And if they’re browsing from a mobile device they won’t even be able to. Place share buttons on your posts with a plugin like AddToAny. It includes all major social media sites and it offers different ways of displaying the buttons (with counters, floating, before/after the content, as a shortcode, vertical/horizontal, etc). Displaying a list of related posts at the end of your blog posts will significantly improve your traffic and your site’s content reputation. When you get a reader who just finished reading an article, why will you make her leave? Offer her something else to read, something related to the content she just read, and keep her on your site for a longer time. Now, there are many plugins for showing related posts on your website. And there’s usually a big controversy around them because of how they work and how that affects your server (crawling the database to find the best posts to present is usually what you’d call an “expensive task”, performance wise). After a deep research, I found that Related Posts Yuzo is one of the best performing plugins for this purpose. And it also comes with several options to customize the way the related posts are displayed. So give it a try! This plugin lets you embed an Instagram feed to your website. It’s very easy to set up and it lets you customize several aspects of the feed such as the width, height, number of photos, number of columns, image spacing and more. You can use it to display the feed of one or multiple Instagram accounts. Of course, it will only work with non-private accounts. This plugin lets you create tweetable content that your readers can easily share on Twitter by clicking on it. It’s useful when you want to encourage users to share a specific thought, quote or piece of text. All you need to do is insert that text with the plugin’s shortcode in your content and it’ll automatically turn it to a tweetable highlight. There are many cases where you might need to migrate a site from one place to another. From staging to production, from one domain to another. Migrating a WordPress site can be a tricky job. It’s mostly about migrating the database, which has all the needed data to run your website, including the content on your site, your settings, users and more. But you’ll also need to move your theme, your plugins and files from the media library. And that’s not all, you’ll have to find all the URLs in the database that point to the old website and replate them with the new website’s URL. To say the truth, it’s a pretty tedious work. And things can break up in the process. A migration plugin can make it easier for you to migrate a WordPress site, and save you from doing all the chores manually. This plugin takes the headache off migrating a WordPress site. It lets you upload your site to a different location with only a few clicks. It will export your database, media files, plugins and themes altogether. It’s worth mentioning that there are other popular plugins that can help you migrate a site too, like WP Migrate DB or Duplicator, but I find All-in-One WP Migration the most intuitive and easier to use. WordPress is used all over the world in more than 30 languages. Although English is the most popular language currently in use for WordPress sites, it’s definitely not the only one. But you know that. You’re probably even one of the people using WordPress in a different language. If so, or if you’re planning on having a website in multiple languages, you’re gonna need some of the following plugins. Most themes and plugins are provided in English. I’m not only talking about their user interface on the WordPress back end, but also about strings (pieces of text) that they display on the front. Ever wondered how to edit the “Read more” button or the “Post by…” and such? Loco Translate finds all the translatable strings on your themes and plugins and lets you translate them into all the languages you need. So you can finally turn the “Read more” into a more suitable “Leer más”. The plugin creates the proper language files (container for your translations) for the language you ask for and lets you manage translations from the WordPress back end, without modifying anything in the theme’s or plugin’s files. For it to properly work, your theme or plugin must be translation ready. That means the code should be written in a way that specifies when a string is translation ready. Plugins like WPML or Polylang are meant to let you build a multilingual site in a single WordPress installation. Let’s say you’ll have a website both in Hungarian and French, and you’ll want your content to be available in both languages as per the user’s choice. This plugin allows you to do that. 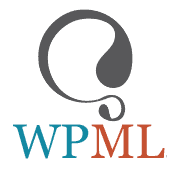 WPML is a premium multilingual plugin, very popular in the WordPress community. Polylang is a free alternative to WPML. It includes fewer features than what WPML offers but works pretty much with the same logic. Finally, here are some unrelated but very useful plugins that I like using. Really Simple SSL will automatically detect your SSL certificates and configure your website to run over https. You first need to get and install SSL certificates for your site, which you can do for free with Let’s Encrypt or via other paid providers. Then activate the plugin and it’ll take care of handling the integration with your site, like replacing all http:// URLs with https://, redirecting all incoming requests to https, or solving different issues that WordPress might have with SSL paths. WordPress automatically creates an archive for each author on your site. That means that every author will have its own page that lists the posts he/she wrote. Now, the URL of the author’s page uses as a slug the author’s username, and that doesn’t usually look good. The Edit Author Slug plugin allows you to set a custom slug for each user and change the default author base part of the URL. As simple as it sounds, the Responsive Lightbox plugin lets visitors open larger versions of the images on your site in a lightbox that is also responsive. This plugin offers different styles of lightboxes so you can choose the one you like the most. And it includes other nice customizable options too. It’ll work with images and galleries inserted on posts, as long as they link to the media files. And also with text links that point to an image or a video (for example, if you want a link to open a video popup). If you’re using one of our themes, this plugin is integrated in a way that allows you to automatically use it with portfolio images, galleries and more without having to play with the code at all. User Switching is extremely useful if you manage a site with a large number of users with different roles and you have the occasional need of taking a look at things from different account types. The plugin allows you to quickly swap between user accounts. You simply go to the users list and by switching to a specific user you’ll be instantly logged out and logged in as your desired user. Every time you upload an image to your site, WordPress and your theme take that image and create several versions of it with different dimensions. That is so the theme can use the proper image size in every part of your site. So when you switch to a different theme or if you changed or added a thumb size (in the theme or in Settings » Media), the images that were previously uploaded won’t have that new thumb size. That’s when Regenerate Thumbnails comes in handy. This plugin will take all the images on your site (or those you select) and automatically recreate all the thumb sizes needed for all of them. I personally still use another plugin for this called Force Regenerate Thumbnails, because I’m used to it and I love it, but it hasn’t been updated in 2 years (so maybe it’s best for you to use a more maintained plugin like Regenerate Thumbnails). Almost everything you do on your WordPress site when working online on the production site will be visible to the visitors right away. Sometimes you want to make changes, small or big, without users seeing the process. In those cases, you’ll need a way to “hide” your site from logged out users. This plugin will let you put a nice and customizable “Coming soon” or “Maintenance Mode” sign on your site’s front end so that only you can see the actual WIP site, and remove it once you’re ready to get your site out to the world. Many online platforms that need integration with your website (like Facebooks’ pixel, Google Analytics, Google Fonts, and such) may ask you to add a code to your site’s header or footer. Editing your theme’s files to insert those snippets is never a good idea (remember you should never edit your theme’s files if you want to keep updating your theme). And creating a child theme just for that is not necessarily the most practical solution. Now remember: with great power comes great responsibility. You’ll be adding pure and plain code directly into your site, so do it carefully. Want to let users know how much time a specific post will take them to read? Install Reading Time WP and just do it. You can enable the estimated reading time to show on all posts or manually add it on specific posts through a shortcode. The plugin also lets you change the default value of words per minute, so you can adjust it to your audience or language. Thanks to the huge community of users and professionals in the WordPress world, most of the plugins on this list are free. Still, some of them are paid and others offer a freemium model. You should always invest in what your site needs. Plugins are worth the money, not only because of the tremendous work behind them but also because of how much they can help your business by improving your website. Keep that in mind the next time you have to pick one. Thanks for another very interesting overview. A lot to discover for me. Additionally I have a few questions. 1. You don’t mention Jetpack. I hear vey contradictionary comments about Jetpack; it should slow down your site considerably. What is your opinion? 2. SEO is important and Yoast is a great plugin. I considered buying the paid version, but is it useful in combination with the Nayma theme? Yoast seems not to look into modules, which make functions like internal link suggestions less usefull. Is that correct? 3. Sometimes I want somebody to check a new draft page or blog post for me before I publish it. Example: I wrote an article and I want an external expert to check the facts and approve his interview. Is there some plugin to copy a page or blog post to an email message, including the lay-out? Or is there a simpler way? So far I copied it to a Word document, which is a kind of a hassle. 1. We’re not fans of Jetpack either. Supposedly you don’t get code bloat if your turn off the section you don’t use, but I can’t confirm that. More importantly, we tend to think that there are always better plugins for specific things so having one that can do it all but a little less good than others doesn’t really stand to our criteria. 2. I’m not sure about Yoast pro version being less useful in our themes. I get what you say about the modules, but at the end of the day if what you’re looking is for internal linking, then you’ll be mostly “internal-linking” stuff in posts anyway, and not in pages. So, you should be fine with that. This plugin https://wordpress.org/plugins/public-post-preview/ is great! I guess this will become one of my favourites. Until now I copied the concept page to Word for review. This saves me a lot of time and frustration. I’m currently using Sumo, which also has the option of adding share buttons and a floating bar. In your experience is it better to use these, or also install the AddToAny Share Buttons? Do you think this has any impact on speed or sharing ratio? I’d keep using Sumo buttons if you find they work fine for you. Sumo is a great plugin and there’s no need to load yet another one for a functionality that Sumo already provides. Your site seems very interesting, by the way!